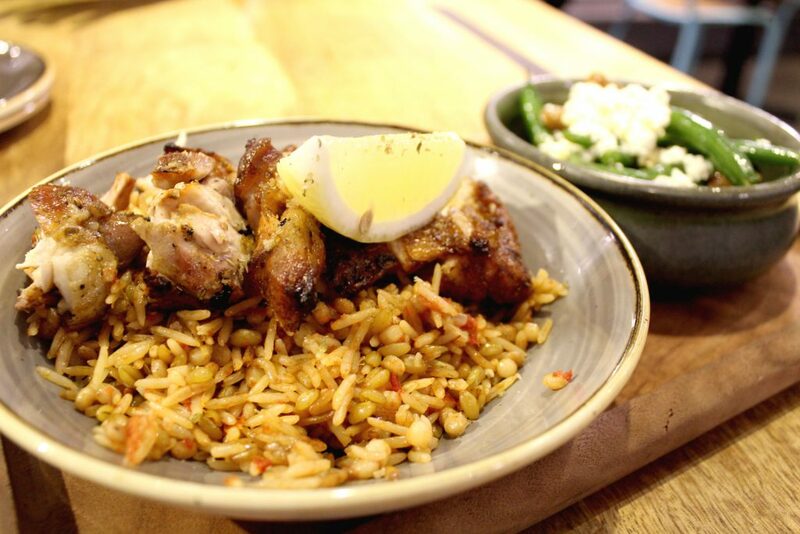 Zeus Street Greek is a recurrent choice for me. Meals are super yum, quick to get, with affordable prices and very well sized portions! I often get a pita for take away, or my favourite: Spartan Box (what a meal!!!). But they are also a gorgeous place to have your meal in, service is always amazing and I simply love the young-ish and modern atmosphere. 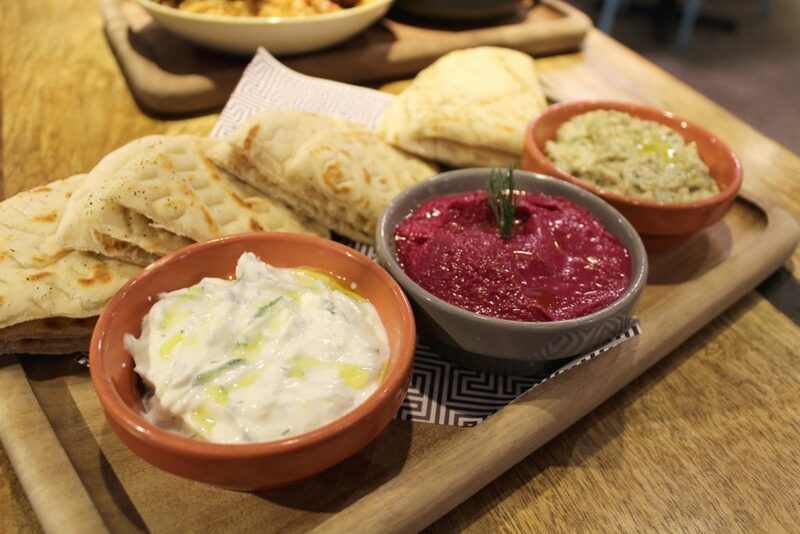 To share: Dips – Tzatziki, Beetroot Hummus, and Smoky Eggplant with pita bread. Mine: Spartan box with chicken, seasonal salad, smoky eggplant, and pilaf rice. Hubby: Stavros Stavrou pita – Grilled Haloumi, Aegean slaw, olive tapenade, caramelised onions, tzatziki, tomato & parsley. Dips: Tzatziki, Beetroot Hummus, and Smoky Eggplant with pita bread. Spartan box with chicken, seasonal salad, smoky eggplant, and pilaf rice. 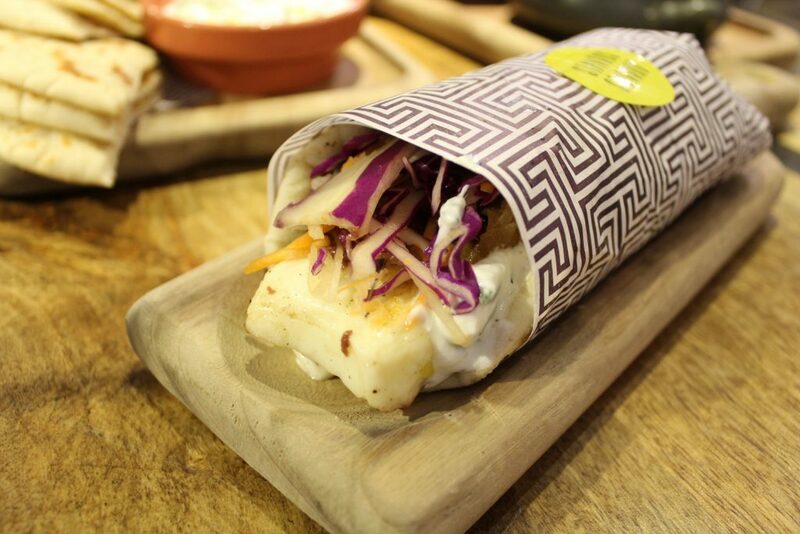 Stavros Stavrou pita: Grilled Haloumi, Aegean slaw, olive tapenade, caramelised onions, tzatziki, tomato & parsley. There is a huge variety of pitas, dips, and sides. But for me, the best meal is always the Spartan Box. You can create your own and I love this kind of stuff. Pick a type of meat, 2 different sides, and a dressing. Simply perfect.